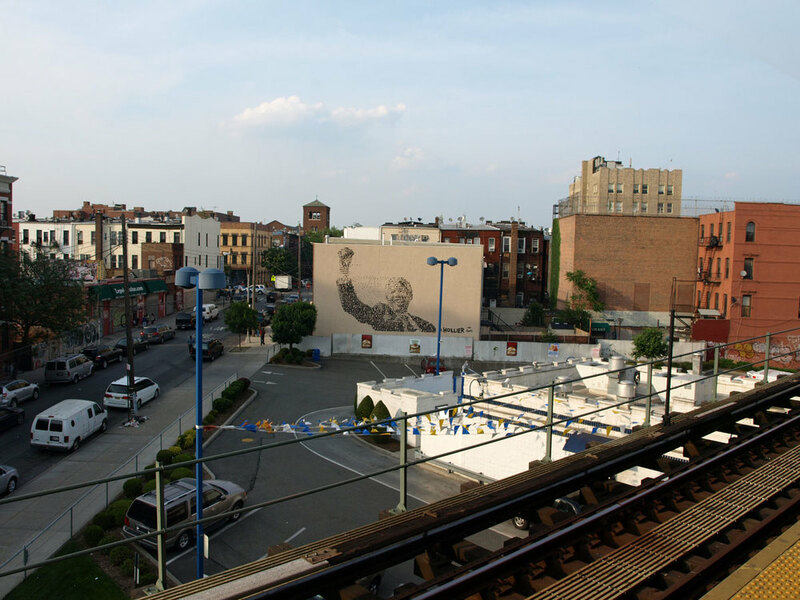 This was my first Bushwick piece. On Linden Ave, between Myrtle Ave and Wyckoff St, behind the Whitecastle. Click here to see a youTube time-lapse video of this piece being painted.